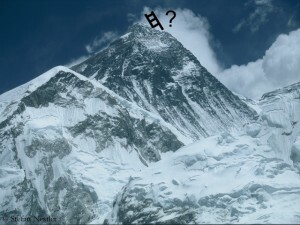 Already in 2013 it was reported with bold letters, that soon there would be a ladder at the key point in the summit area. And it was also whispered about that during the general assembly of the International Mountaineering and Climbing Federation (UIAA) in Pontresina in Switzerland in October – much to the annoyance of the Nepalese delegation. The ladder was only one of many suggestions, said then UIAA honorary member Ang Tshering Sherpa, who meanwhile has been elected once again President of the Nepalese Mountaineering Association (NMA). The 60-year-old pointed out that in spring 2013 for the first time double ropes had been fixed at bottle necks like the Hillary Step. These measures had “led to a safer and more secure climbing season with no reports of traffic jams”, Ang Tshering said in Pontresina. Experience means maintaining what has worked well. 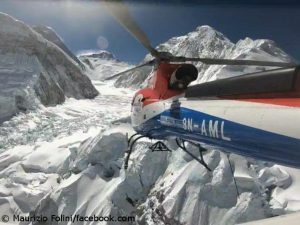 The Everest Expedition Organisers’ Association (EOA) has announced that this season second ropes would be fixed at critical points. 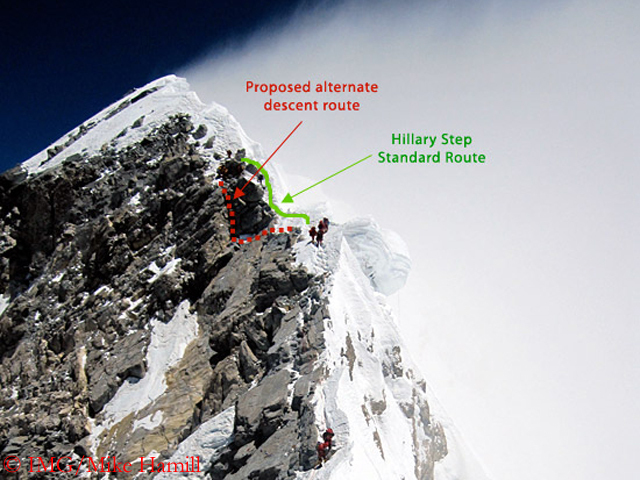 Dawa Steven Sherpa, leader of the Eco Everest Expedition 2014 and a member of EOA, mentioned not only the Hillary Step but the “Yellow band” (7600 meters) and the “Geneva Spur” (7900 meters) on the steep Lhotse face and also the “Balcony” (8500 meters) in the summit area. He was not speaking of ladders. 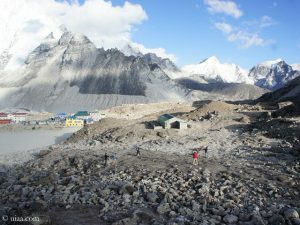 These are now used by the Sherpas in the Khumbu Icefall above basecamp. The so-called “Icefall doctors” have begun to work on the route through the dangerous labyrinth of ice. Second attempt. 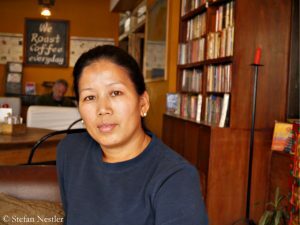 This spring, Maya Sherpa, one of Nepal’s most famous and best female climbers, will tackle Kangchenjunga, the third highest mountain in the world. 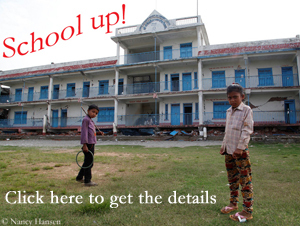 “I am happy to go there again,“ the 40-year-old told me as we met in Kathmandu last week.